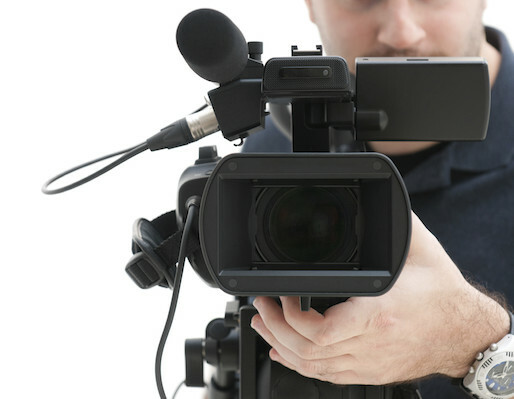 With few exceptions, filming or recording a will signing is usually a bad idea. Nevertheless, some estate planning attorneys still film certain will signings under the assumption that videotaping a will signing will provide tangible “proof” that the person executing the will was not suffering from a lack of testamentary capacity at the time of execution. There are several reasons why, in most instances, this is a bad idea. First some background: in order for a will to be valid, the person executing the will (often referred to as the “testator”) must have “testamentary capacity” (which, in most states, is defined as the adequate mental ability to understand his family, his property, the fact that he’s making a will, and how the will disposes of his property). If a party challenging a will can prove that at the time the testator executed the will he did not have testamentary capacity, that party can have a court declare a will to be invalid. In litigation involving whether a testator had testamentary capacity, the parties to the dispute will call as witnesses all people who observed the testator at the time he executed the will, and near in time to when he executed the will (such as the legal witnesses to the will, other people in the same room at the will signing, any medical personnel who interacted with the testator that day, and other family, friends, and neighbors who interacted with the testator that day). Given the potentially large number of witnesses, coupled with the passing of time from the date of the will signing to the date of trial (or the date the witnesses are deposed), different witnesses may have different recollections of their observations of the testator’s capacity. For example, one witness may testify that the testator appeared drowsy and confused an hour before the will execution, while another witness may testify that at the will signing the testator was sharp. For this reason, some estate planning attorneys occasionally recommend videotaping a will signing, as evidence that can be played at the trial to the judge or jury, to demonstrate that at the time of the will signing, the testator had testamentary capacity (notwithstanding any contrary testimony from the hazy or inconsistent recollections of other witnesses). There are several problems with this approach. First, in order for a videotaped will signing to be used effectively in court to support the position that the testator had testamentary capacity at the time of the will signing, the testator’s appearance, speech, and performance on the videotape must be practically flawless. Any little stutter, hesitation, confusion of a name, failure to recollect certain facts, etc., will likely be used by the attorney for the person challenging the will as proof that the testator lacked testamentary capacity at the time of execution. Now here’s the practical reality: many of us, in normal day to day conversations, will mix up names. I mix up my sons’ names occasionally. (Who hasn’t had a grandmother or grandfather or aunt or uncle mix up your name with your brother or sister or cousins?). In normal conversations, we all occasionally stutter, fail to recall certain facts, etc. So if many healthy adults do not routinely give a flawless oral performance, how much more susceptible will older persons be when they are under the pressure of answering questions about their family and their assets while knowing they’re being filmed? In short, the likelihood of a perfectly competent person (who clearly knows his family, property, that he’s making a will, and how the will disposes of his property) slipping up during a filmed will signing (and therefore providing valuable ammunition to an opponent of the will), is simply too much of a risk to take in many cases. Keep in mind that if a will signing is not filmed, the challenger of the will be forced to rely on the testimony of the people present at or near the will signing. Those witnesses who were present at the will signing will likely almost always testify that the testator had adequate capacity (either because they were official “legal” witnesses to the will, and therefore had to ensure that he had capacity, or because they would not have permitted the will signing to go forward absent their belief that the testator had testamentary capacity). Those witnesses also will be very unlikely to recall any minor stutter, slip-up, mix-up, etc. by the testator, because they are not primarily concerned about such things unless they manifest themselves to such a degree that they lead the witness to believe the testator lacked capacity. In other words, filming will only create a trail of unhelpful evidence that would otherwise most likely be unavailable to a will challenger. If a challenger of a will is left without filmed evidence, and without any helpful testimony from witnesses present at the will signing, the challenger will be forced to fall back on evidence contained in any medical records, and/or the testimony of any witnesses who observed the testator before or after the will signing. However, many states provide, as Virginia does, that greater weight should be afforded to the testimony of witnesses present at the will signing, than the testimony of witnesses not present at the will signing. See, e.g., Fields v. Fields, 255 Va. 546, 550 (1998). In short, not filming a will signing can prevent a will challenger from obtaining potentially key evidence that could be taken out of context, yet will likely not harm the legal position of those seeking to uphold the validity of the will, as they will have numerous witnesses who can likely testify in their favor. One might ask: if the testator does not perform flawlessly during the will signing, couldn’t he just film a “do over” whereby the unhelpful will signing is taped over by another, better performance? In fact, there likely could not be anything more fatal to an attempt to uphold the validity of a will than doing that. The attorney for the will challenger would almost certainly ask in depositions how many “takes” of the filming were conducted. If any witness were to admit that there was more than one “take” of the will signing, the attorney for the will challenger would pounce on that fact to argue to the judge or jury that the testator was so lacking in capacity that it took multiple tries to produce a “clean” taped will signing. One might also ask: couldn’t the lack of filming a will signing be used as evidence at the trial that the estate planning attorney thought something was awry, and didn’t want to film the will signing as a result? The answer is, in most instances, no. That’s because most estate planning attorneys do not film will signings (and if they regularly do, they should consider stopping such a practice). This argument by a will challenger can be effectively rebutted at trial by simply eliciting testimony from the estate planning attorney that in the ordinary course of conducting will signings, he does not film them (and then in closing arguments, the attorney can explain to the jury why they should not draw any negative inferences from the failure to film, since such is simply the standard practice of the attorney). Is there ever a legitimate reason to film a will signing? Possibly, but usually only with an extremely healthy and mentally-competent testator who will almost-unquestionably perform near-flawlessly on camera. Plus, even in those instances where a flawless filmed will signing will undercut a lack of testamentary capacity argument, a will challenger could still possibly argue that the testator was unduly influenced into signing the will (in most states, proof of undue influence can be shown by evidence of actions taken hours, days, or even weeks before the execution of the will, and therefore can’t definitively be rebutted by video evidence at the time of the will signing). In sum, in many, if not most,instances, filming a will signing can serve very little good, and can only serve to be a source of potential evidence to challenge the will. If you’re an estate planning attorney, I’d encourage you seriously to weigh the pros and cons before undertaking such a practice. This entry was posted in Disinheriting Family Members, Trust Disputes, Undue Influence, Will Disputes and tagged Disinherit, Family disputes. Bookmark the permalink.